We have been helping brides find their perfect bridal outfits since 1980 and we believe that our experience, customer service and fabulous range of designers should put us at the top of your list of bridal boutiques to visit. As you might expect we have many customers from Essex and the neighbouring counties, but we’re always surprised and delighted to see the numerous brides who have travelled from distant parts of the UK. We’ve even had customers travelling from France, Holland and Spain. Most of these brides have made the journey based on a recommendation, so I hope this speaks volumes for the care and service that we offer. We have a strong team of advisors backed up by our seamstresses who have years of wedding gown experience. 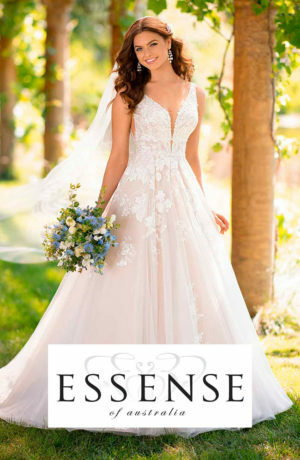 We are ready to help you find that perfect wedding dress you’ve been searching for. 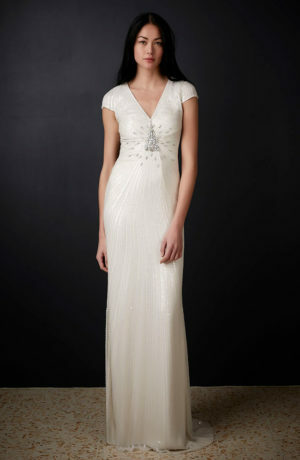 We have the largest collection of sample wedding dresses in store too. Our experience tells us that the modern bride often knows the style and brand of gown that they’re after. 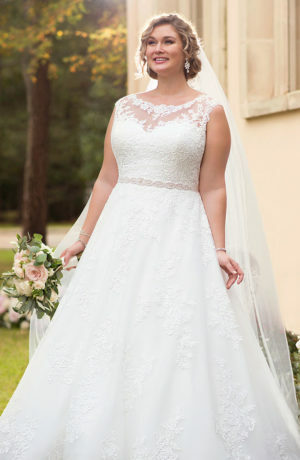 So whether you’re looking for regency style wedding dresses, wedding dresses from Spain, something for the second time bride or discount wedding dresses, we’ll have something special for you at The Wedding Shop.